Stock traders and institutional investors are carefully watching the Uber IPO and Lyft stock activity since its recent launch. While the two companies are credited with upending the ride- hailing industry, the big question will be: Should you buy the stock? Uber’s initial public offering on Thursday reported that the company lost $1.8 billion last year, excluding certain transactions, on revenue of $11.3 billion. The prospectus also revealed that revenue growth has been slowing down. Will Uber reach its hoped-for market valuation of $100 billion? Arch-competitor Lyft was valued at $24 billion last month as its IPO came together. Uber is much larger in transactions and revenue size, but it likely won’t reach that level of value. Silicon Valley neighbors Amazon, Apple, and Alphabet are hoping to hit $1 trillion sometimes soon, but that’s come after quite a few years of profitable growth and billions of customers; and having multiple lines of products and services, far beyond anything Uber and Lyft are likely to get into. Tesla is valued around $46 billion now and General Motors is at about $56 billion. The love affair with Tesla has waned as stockholders want to see mass production Model 3s hit their scheduled target and profits increase during a time that the electric carmaker has seen several high-level management turnovers. Still, many shareholders continue to back Tesla as it prepares to launch the Model Y and autonomous functionality. CEO Elon Musk may be in more hot water on the regulatory side with a Twitter comment made yesterday on the company producing 500,000 vehicles over the next year. Musk posted a similar tweet almost two months ago, where he said the company would build half a million units in 2019. That led the U.S. Securities and Exchange Commission to argue Musk was in contempt of a settlement they’d reached last year. In an earlier interview, Warren Buffett, CEO of Berkshire Hathaway (which has an astronomically high stock price of $314,250 per share today and a market cap at $515.25 billion), encouraged Musk to be more careful about what he writes on Twitter. Lyft started last week at $74.45 per share, much better than its March 28 IPO price of $72. The week ended on a sour note by closing Friday at $59.90, its lowest price ever. That meant about $3 billion in dropped market capitalization to $17.1 billion. There’s still a lot of talk about room-sharing giant Airbnb going public this year, along with Chinese ride-hailing firm Didi Chuxing. Companies looking for global growth must have capital in high volume to pay for the technology, personnel, independent contractors, marketing, and systems development required to reach that level. Stock market trading can be a necessity when angel investors and venture capital firms can’t provide the cashflow needed to hit that profitable growth mark. Launching an IPO, keeping stock value consistent, and providing detailed, honest financial reports are a tough call for these mobile app service providers. Uber and Lyft do benefit from strong brand identity and growing market reach. It’s rare to meet someone these days who’s never used their services; and customers do enjoy the cost, convenience, quickness, and avoiding the stress of traffic and finding parking. Feature: Are electric scooters going to make it? Renting a small electric scooter from startups Lime and Bird is becoming pervasive in cities across the country. For $1, and about 29 cents per minute, you can easily get from Point A to Point B and avoid the hassles of finding parking, waiting for the bus, paying for an Uber or Lyft ride, etc. But how viable are these and other scooter companies going to be in the next few years? It’s a hard industry to make money in with the cost of charging, the lifetime of the battery, repair costs, the depreciation of the bikes, and the impact of vandalism and theft. Bird and Skip have spoken more publicly about the rough reality of thriving in the sector. Ofo, a China-based bikesharing platform has entered bankruptcy, according to report. Ofo later denied reports of impending bankruptcy and maintained that the company is doing just fine. News came out in March that Meituan Dianping, which owns Ofo-rival Mobike, will scale back its operations following losses. Then there’s the question of safety. Only three e-scooter deaths had yet been reported as of late January, which is likely to increase as ridership grows in leaps and bounds. A recent study by UCLA published in medical journal JAMA Network Open found that only 4.4% of e-scooter accidents in the Los Angeles area included riders wearing helmets. With an estimated 65,000 e-scooters on American streets and concerns over their safety has led to talks of banning the bikes unless safety guidelines are implemented. ACT Expo is coming up next week (April 23-26), and the full speaker roster has been released for the ninth annual show taking place at the Long Beach Convention Center in Southern California. Along with it, over a dozen co-located events have been announced, held in partnership with leading industry organizations and member-based associations across the commercial transportation space. Fleet Owner and ACT Expo are partnering on one of them, offering a new workshop for operations and maintenance professionals. Called “Workforce Development: Meeting the Vehicle Maintenance Challenge,” the day-long workshop on Tuesday, April 23 brings together a strong team of maintenance, operations, technology and training experts to take on some of the toughest issues facing maintenance providers. GM backing away from Rivian: Talks between General Motors and electric truck startup Rivian Automotive about the automaker taking an equity stake may be dead, people familiar with the matter said. Amazon.com Inc. has been supporting the startup EV maker that led to a $700 million equity fund raised in February. Plymouth, Mass.-based Rivian plans to bring all-electric trucks and SUVs to market. GM will likely be continuing to develop its own electric pickup, which is still in the early phase of development. Audi campaign: “Electric has gone Audi,” according to new billboard ads. Audi’s new marketing campaign is attempting to debunk perceptions about electric vehicles that have kept them from breaking into high-volume sales, including fears about range, charging infrastructure, and performance. For now, Audi is telling the story about its new e-tron electric SUV, which is the first of three all-electric vehicles that the Volkswagen division will be launching over three years. The first TV spot, called “Not For You,” starts by showing a man in his bathrobe gazing at this neighbor’s e-tron. He’s transported into a number of scenarios attempting to debunk the myths about range anxiety and other misconceptions. SoftBank might be the most significant company of all of them to watch for those interested in smart mobility. The Japanese multinational holding conglomerate owns the sixth-largest phone company in the world and many other divisions. Softbank is betting about $60 billion in more than 40 companies in ride-hailing, car-sharing, delivery robots, and self-driving vehicles, according to chief Masayoshi Son. More than $13 billion of it will be going into the publicly trading Uber Technologies Inc.
Tesla has rolled out a leasing program for its Model 3 electric sedan for the first time while also making it harder to buy the $35,000 base version of the vehicle. The company said on Thursday that it would begin leasing the Model 3 “for a small down payment and competitive monthly payments.” But it won’t end the way the usual lease does. “Please note, customers who choose leasing over owning will not have the option to purchase their car at the end of the lease, because with full autonomy coming in the future via an over-the-air software update, we plan to use those vehicles in the Tesla ride-hailing network,” Tesla said in a blog post. Hyundai generates power from hydrogen: Hyundai Motor Company signed a memorandum of understanding (MOU) with South Korean local energy firms Korea East-West Power (EWP) and Deokyang to generate electricity from hydrogen. The pilot project will deliver a 1 megawatt (MW) hydrogen fuel cell power facility, with Hyundai Motor building the fuel cell system, EWP managing the facility and sale of electricity, and Deokyang supplying the hydrogen. The system will be powered by multiple power models from Hyundai’s Next fuel cell vehicle. The facility can generate an annual supply of 8,000 MWh, enough electricity to power approximately 2,200 households at 300 kWh per month, while emitting zero greenhouse gases or pollution since it is fueled by hydrogen. Buying into self-driving vehicles: What’s it going to take for autonomous vehicles to become typical on city streets? Perhaps longer than advocates of the advanced technology had hoped for. In a new study by Reuters/Ipsos, half the respondents believe that autonomous vehicles won’t be as safe as vehicles currently on roads. Nearly two-thirds of the U.S. adults participating in the survey said they would not buy a fully autonomous vehicle, and the same amount balked at the prospect of paying significantly more for the added features. AVs will be staying in the test phase for a few more years. Companies such as General Motors, Tesla, Waymo, Alphabet, Uber, and Lyft, will continue testing the technology and trying out convenient mobility and shared ride experiences for users. Fleets will continue playing an important role in advancement of the technology through projects such as truck platooning, electric automated shuttle vans, and urban delivery showing positive signs of potential for adoption. Safe travel is a key issue, as Tesla and Uber have discovered in fatal incidents involving AV technology in recent years. But as marketers of electric vehicles know, building up mass adoption of a radical new technology takes millions of miles and a few years of positive driver experiences. Electric automated trucks: Speaking of adoption of the new technology, a new report by Wards Intelligence says it will take until the early 2020s for new electric and automated trucks to take root. Medium-duty truck fleets will lead the way in electrification, but “long haul will probably be the last to see electrification because they’ll probably need fuel cells to get the range they need, and those are still in development,” said Megatrends 2019 Trucking author, Jim Mele. Trucking fleets want to see longer range and faster fueling, so fuel cell trucks may have an edge here — with Nikola Motor and Toyota poised to take the lead. Tesla and SEC dispute settlement and quarterly report: Tesla is still trying to clean up problems that have been building in the past year. Tesla CEO Elon Musk was “very happy” about a federal district court judge telling the company and the Securities Exchange Commission to settle the SEC’s complaint out of court. The SEC asked the court to hold Musk in contempt for violating their previous settlement over a tweet they thought violated rules over what the publicly traded company can divulge or express opinions over. This time around, the SEC filed a complaint in court over a photo musk had posted on Twitter of the electric automaker’s manufacturing plant — that Musk said would be able to produce 500,000 vehicles in 2019; he recanted that tweet, going back to the original forecast of 400,000 units being what the company expects to deliver. Another tough one has been reporting to investors that sales saw a big drop in the first quarter of this year. About 63,000 Tesla vehicles were delivered in the first quarter — a 31% drop compared to the prior quarter and the the largest drop ever for the company. Some commentators have wondered if an April 19th event for Tesla investors on new autonomous vehicle improvements will be an attempt to deflection attention on the poor performance. According to a series of in-depth reports by NPR’s Marketplace, three factors are shaping the future of the economy: new technology, globalization, and corporate profit. While auto sales are coming close to a record high in the U.S. (which surprised market analysts), that may be a temporary blip. Foreign automakers have 19 assembly plants in the U.S., but General Motors is closing four American plants and Ford is going through a major reorganization. Even so, U.S. auto plants have the capacity to make three million more cars that they can sell. Analysts think that this year’s strong sales come from higher fleet sales, lower unemployment, and Tesla’s rapid production ramp up. Shareholders are putting a great deal of pressure on automakers to lead the way in new products, advanced vehicle technology, and strong profit margins. Automakers have been taking big steps to change over their product lineups (less cars, more trucks and SUVs) and prepare for launching mobility services and a higher volume of electric vehicles. Here’s a look at some of the major events that have been shaping market dynamics in the U.S. and global automotive landscape — and its impact on green vehicle sales and adoption of new technology and mobility…………. Trade war with China: The Center for Automotive Research released a report warning that auto sales could plunge up to two million vehicles a year over the huge tariff increase launched by President Donald Trump. That could mean a loss of about 715,000 American jobs and a $62 billion hit on U.S. GDP. In September, Ford CEO James Hackett said at a Bloomberg conference in New York that steel and aluminum tariffs imposed by the Trump administration had cost the company about $1 billion. On Nov. 27, Trump publicly chastised GM CEO Mary Barra over her decision to close four plants in the US because of sagging demand for sedans (that includes ending production of the Chevrolet Volt). That came from his emphasis on keeping U.S. manufacturing alive and well, and keeping Americans working in the plants. The reality is that GM and other automakers have been investing heavily in global production and sales while staying as profitable as possible. The trade war with China hurts those strategies as China remains the largest auto market by far, including EV sales. On the bright side, a move three days ago by China to ease auto import tariffs are helping prices go down on imported models such as the Tesla Model 3. Nissan loses its chief: Nissan Motor Co.’s former chairman Carlos Ghosn was arrested again by Japanese prosecutors under allegations of financial misconduct — adding 10 more days to his month-long stay in jail. The original arrest and Dec. 10 indictment came from allegations of Ghosn understating his income from Nissan by 4.8 billion yen ($43 million) over five years through March 2015; he was then re-arrested at that time for understating earnings through March 2018. Ghosn had been credited for leading the Nissan Renault alliance and championing the all-electric Nissan Leaf and its first-ever leadership in EV sales. The next generation Leaf is expected to be revealed next month at the 2019 Consumer Electronics Show in Las Vegas with a battery pack at around 60-kilowatt hours. The company will also be revealing its vision for an all-electric Infiniti crossover at the Detroit Auto Show. For now, the Nissan e-NV200 electric van is making its way to fleets, with its 40kWh battery that can go between 124-187 fully charged, depending on the payload being carried. Musk forges through Tesla’s toughest year: Tesla CEO Elon Musk exercised his typical blunt and brutal style during a recent interview on “60 Minutes” — clarifying his jabs at the U.S. Securities and Exchange Commission. “I want to be clear: I do not respect the SEC,” he said to interviewer Lesley Stahl. Musk made a stock fraud settlement with the SEC in October that took away his chairman title (telecommunications exec Robyn Denholm was made Tesla chairwoman on Nov. 8). The SEC playing babysitter is “not realistic” because “I’m the largest shareholder in the company and I could call for a shareholder vote and get anything done that I want,” Musk said. The Tesla CEO had made a Twitter post about taking the company private to address financial turmoil coming from the cost of ramping up production of the Model 3. While the company’s stock and the chief’s reputation have gone up and down during 2018, its EV sales haven’t. The Model 3 had U.S. sales of 18,650 in November, a ten-fold increase over January’s sales of 1,875 units. It’s now listed in U.S. Top 10 sales for its sedan class. The Model S and Model X have also done well this year, competing with the Chevy Bolt and Volt in the top 5. The company has been invited by Ohio Governor John Kasich to consider buying a GM factory in the state the company will be shutting down next years. Musk is considering doing it to have the needed capacity to build its cars — and not have to use a tent to meet demand, as was the case this year at its Fremont, Calif., assembly plant. A strong year for natural gas: Natural gas is taking off as a transportation fuel and as an energy source for power stations, with liquefied natural gas (LNG) playing a big role in it. Trump would like to see the U.S. be a major exporter of LNG, and competes with several other countries to take the lead. Renewable natural gas (RNG) is having a very good year as well and more compressed natural gas (CNG) stations have been built and opened this year. In its annual sustainability report, Waste Management said that growing its CNG truck fleet played a big role in reducing corporate emissions. Waste Management is playing a big role in making gains in recycling, renewable energy generation and carbon sequestration; it’s also part of the company producing its own RNG from waste materials. SoftBank believes in mobility: SoftBank, the Japanese conglomerate that started out as a PC software company and now owns Sprint and a large Japanese mobile phone carrier, is making investments from its $100 billion tech investment pool, Vision Fund. Companies receiving financial backing from Vision Fund include Uber, WeWork, food delivery startup DoorDash, ParkJockey, Cambridge Mobile Telematics, and robot-pizza maker Zume. SoftBank’s focuses on autonomous driving, ride-hailing, on-demand delivery, and real estate. Alphabet Inc.’s Waymo division launched the first-ever commercial autonomous vehicle ride service in early December. That’s taking place in the Phoenix area with plans to spread out. Propane autogas had a strong year with school bus fleets embracing the clean fuel and bringing in more propane-powered buses and fueling stations. The west coast and northeast have been particularly strong markets. Overall, more than 13,000 propane-powered vehicles were sold in 2017 with this year looking good. At the LA Auto Show, a few competitors displayed concept cars that they hoped would light up affluent buyers who had been leaning toward Tesla. They included Audi, BMW, Volkswagen, and start-ups Rivian and Byton. Jaguar just put its I-Pace electric SUV on sale, and German automakers started ramping up production of Tesla-competitive models for distribution to dealerships starting next year. The bitcoin cryptocurrency, a form of electronic cash that became extremely important last year, has seen its price go from $16,960 in January to $4,078 on Dec. 20. Like EVs, and autonomous vehicles, it will take a few years for it to reach mass adoption. Tesla and GM are facing the end of federal tax credit incentives, and it looks like continuation won’t be supported in Washington. State rebates will become more important, and California Gov. Gavin Newsom is likely to support clean vehicle incentives when he takes office next month. Volkswagen’s Electrify America program is continuing to add EV chargers throughout the state, with the company announcing its second wave of projects in October. The age of robotaxis is ready to launch: Alphabet Inc.’s Waymo division is preparing to launch the first-ever commercial autonomous vehicle service in early December, according to a source familiar with the plans. It will be run under its own brand and compete directly with mobility companies like Uber and Lyft. It won’t be a splashy opening, but the start of a trial run in suburbs around Phoenix. That’s where Waymo’s Early Rider Program has been tested with a group of 400 volunteer families who’ve been taking autonomous rides with the company for more than a year. This news coincided with a comments made by Waymo’s chief John Krafcik speaking at Wall Street Journal’s TechD D.Live conference on Tuesday. Krafcik said the service will start with a small group of riders in the Phoenix area but will be expanding in the coming months. Passengers can pay for rides and corporate customers such as Walmart Inc. are planning on having their customers shuttled to the chain’s stores in these vehicles. Earlier this year, Waymo announced plans to buy thousands of vehicles from Fiat Chrysler Automobiles and Tata Motors’ Jaguar Land Rover to expand its self-self-driving vehicle fleet. VW ramping up to mass produce EVs: Volkswagen said it will convert three German factories to build electric vehicles — to meet expected demand and complete its commitment to zero emission vehicles made after the diesel-emissions scandal broke three years ago. The VW plant in Emden, which currently builds the VW Passat, would build electric cars from 2022 onwards, and its factory in Hannover would also start producing EVs the same year. Together with the company’s current Zwickau plant, it will make for Europe’s largest network for the production of EVs in Europe, the company said. This week, the German automaker also announced it will be spending 44 billion euros ($50.2 billion) on EVs, digitalization, autonomous driving and new mobility services by 2023. That will make for a plan 10 billion euros ($11.4 billion) more compared to last year’s planning round by VW. 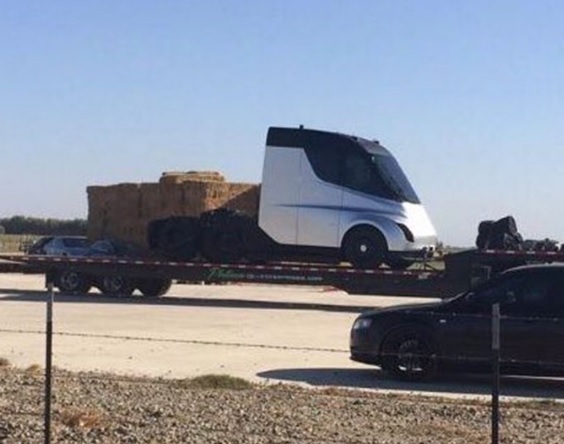 Tesla buying trucking companies, facing more investor suits: Tesla chief Elon Musk tweeted Thursday that the company has acquired a few trucking firms to meet its delivery targets. The real challenge for Tesla this year has been building and delivering enough Model 3 compact electric cars to come close to meeting its earlier commitments to do so. It will shave off at least a month of time that it takes by using rail to get its electric cars to the East Coast. “We bought some trucking companies & secured contracts with major haulers to avoid trucking shortage mistake of last quarter,” Musk wrote without revealing details on the acquired companies. Get ready for AutoMobility LA and LA Auto Show: AutoMobility LA will be taking place Nov. 26-29, 2018, in Los Angeles, featuring speakers and workshops on the latest in autonomy, connectivity, electrification, the sharing economy, and more. It’s the prelude to the 2018 LA Auto Show, which runs from Nov. 30-Dec. 9 at the LA Convention Center. More than 60 debut vehicles are scheduled for this year’s AutoMobility LA, with nearly half making their world premiere. Jeep will be rolling out a pickup, and Kia is expected to have multiple vehicles make their world debut, including one of the brand’s best-selling cars. Audi has confirmed that the e-tron GT concept 4-door electric performance coupe will make its global premiere at AutoMobility LA. Other speakers include: Luke Schneider, CEO of Silvercar, Audi’s app-based car rental service; Megan Stooke, CMO of General Motor’s Maven car-sharing service; and Jenny Ha, senior exterior designer at Lucid Motors. AeroVironment’s TurboDX chargers: AeroVironment introduced TurboDX, the company’s next-generation EV charging station for commercial, workplace, utility and residential customers around the world, during CES 2018 in Las Vegas. TurboDX includes 120 and 240 volt charging in a durable, reliable, fast, and safe solution adaptable to a wide range of users’ needs. It’s been certified by Underwriters Laboratory to North American UL Standards for safety and reliability. European variants are certified to IEC standards and bear the CE Mark. Chinese configurations have met CQC certification. An OEM-branded version of the TurboDX has begun manufacturing in China and will ship to customers starting this month. Hydrogen stations in Japan: A consortium of 11 companies have signed an agreement to scale up deployment of hydrogen stations and fuel cell vehicles in Japan. A new company will be started up in the spring of 2018 to develop refueling stations. The list includes Toyota, Nissan, Honda, financial institutions, and oil and energy companies including Air Liquide Japan. One of the targets will be to have 160 stations in place fueling 40,000 fuel cell vehicles by 2020. Ford testing self-driving deliveries with Postmates: During CES 2018 in Las Vegas, For d Motor Co. announced a test project being conducted with the Postmates delivery service. City dwellers and workers can tap into the convenience of having deliveries made through a quick and easy process on their mobile device. It will support future efforts to deliver meals and store purchases to consumers though self-driving vehicles. Both the merchants and the consumers’ experiences will be explored during the test project. In late August, Ford began placing a self-driving test car through a trial project with Domino’s Pizza. 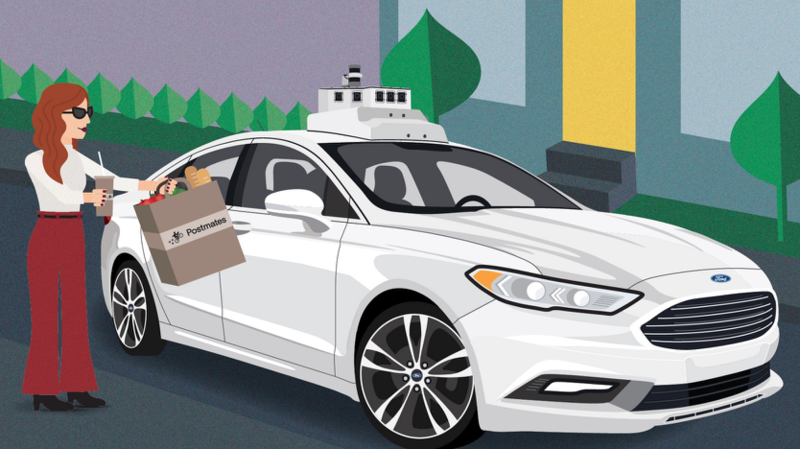 Domino’s Pizza employees carried out pizzas for delivery in a Ford Fusion Hybrid Autonomous Research Vehicle in an Ann Arbor, Mich., test project. Users were able to track the delivery through Domino’s Tracker mobile app. Ford safety engineers and a few other researchers went on these delivery rounds to make sure it was being carried out safely and accurately. Consumer opinions about the Domino’s ordering and delivery experience were also tapped into. Postmates is distinct in the market for delivering just about anything – fast food, restaurant meals, groceries, and hardware store items. 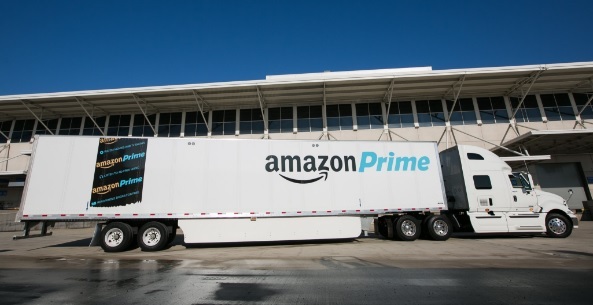 Much larger companies, such as Amazon, and exploring deliveries and forging their own alliances in all these areas. Last year, Uber created an alliance with McDonald’s to bring Happy Meals and other menu offerings to those who order it. Automakers see huge potential in forging alliances with technology companies and mobility services like Lyft. 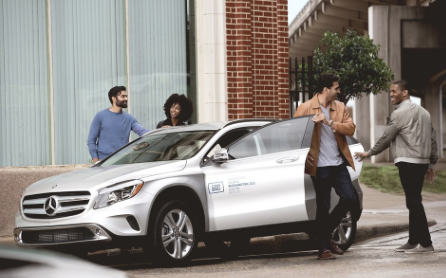 Consumers and employers are showing high demand for specialized mobility services that remain fast, efficient, and affordable. It’s much better than being stuck in traffic and looking endlessly for a place to park. Newsworthy stories: Tesla Inc. is slowly ramping up to meet its original production target for the Model 3, moving the 5,000 unit target into the second quarter. In its quarterly statement this week, the company announced that it delivered 1,550 Model 3 small sedans in Q4 2017, up from 220 the previous quarter. Tesla expects to reach a 2,500 unit weekly rate by the end of the first quarter, and the 5,000 per week milestone by the end of the second quarter. It was a good quarter and year for the electric automaker, with 101,312 of the Model S and Model X vehicles delivered in 2017 – a 33% increase over 2016. It was the best quarter ever for Tesla, with 15,200 Model S and 13,120 Model X vehicles delivered, representing a 27% increase over Q4 2016. As for the new Model 3, the company will “continue to focus on quality and efficiency rather than simply pushing for the highest possible volume in the shortest period of time.”…………. Westport Fuel Systems Inc. has entered into a development and supply agreement with Tata Motors for their 4 cylinder and 6 cylinder natural gas spark-ignited commercial vehicle engines to meet the Indian government’s new Bharat Stage VI emission standards, scheduled to take effect in April of 2020. Westport Fuel Systems has been working with Indian automaker Tata Motors since 2012, most recently working together on developing their next generation of natural gas spark-ignited engines to meet the BS-VI emission standards. Upon completion of the program, Westport will be supplying the critical natural gas components to Tata Motors, including advanced gas injection systems and controls………….. CALSTART’s Clean Transportation Summit – California: 2030 will be taking place March 26-27 at the Sacramento Convention Center. This summit succeeds the Clean, Low Carbon Fuels Summit, which ran annually for the past five years with the purpose of building political support for the Low Carbon Fuel Standard (LCFS). The first day of this year’s summit kicks off with concurrent sessions focused on electrification, Low NOx Natural Gas Vehicles market development, voucher incentives, and opportunities and issues for autonomous, electric and connected vehicles. The day concludes with a reception followed by a full day of General Session programming. Early bird discount registration will end on January 25. 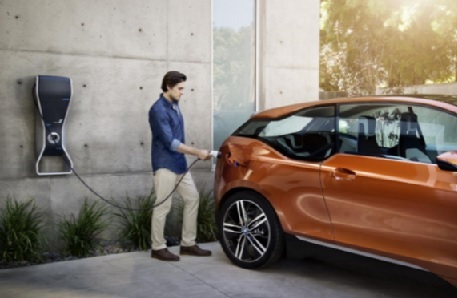 Learn more about the event here…………… U.S. car owners now lease almost 80% of battery electric vehicles and 55 percent of plug-in hybrids, according to Bloomberg New Energy Finance. The lease rate for the country’s entire new vehicle purchases has been around 30% recently. However, Tesla does not reveal how many of its vehicles are leased. Consumers seem to be turning to leasing for the payment savings and because used vehicle values for electric vehicles have been weak in the marketplace. Consumers concerned about used vehicle values also tend to expect that the next generation of EVs with new technology and longer range will have stronger value on the used car market……………. California would ban the sale of new vehicles powered by fossil fuels in 2040 under legislation introduced Wednesday in the state Legislature. If passed, it would be a significant part of the state’s drive to reduce greenhouse gas emissions 80% from 1990 levels by 2050. The law would require that all new vehicles sold after Jan. 1, 2040, would be zero emission vehicles such as battery electric or hydrogen fuel cell vehicles. “We’re at an inflection point: we’ve got to address the harmful emissions that cause climate change,” said Democratic Assemblymember Phil Ting, the bill’s author. VW adding to its automated mobility presence: The Volkswagen Group and self-driving technology company, Aurora Innovation, announced a strategic collaboration ahead of the 2018 Consumer Electronics Show (CES) in Las Vegas. Aurora Innovation also signed a deal with Hyundai this week, similar to its alliance with VW, to bring its self-driving software into commercial use. 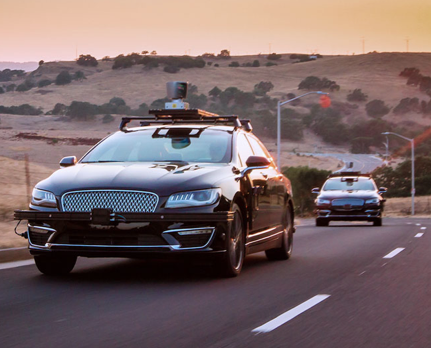 Based in Palo Alto, Calif., and Pittsburgh, Penn., Aurora designs and builds self-driving technology, partnering with automakers to integrate, pilot and deploy advanced self-driving platforms into vehicles. Founded by CEO Chris Urmson, Chief Product Officer Sterling Anderson and Chief Technical Officer Drew Bagnell, Aurora is working to solve today’s most complex AI, automation and engineering challenges to improve transportation and positively impact cities. Urmson had played a leading role at Google’s self-driving car unit, before it became Waymo. The collaboration between VW and Aurora aims to bring self-driving electric vehicles in cities as Mobility-as-a-Service (MaaS) fleets. The collaboration will bring together a world-class engineering team to the ongoing development of software and hardware for driverless vehicles, and for mobility services for urban and rural areas. Cities can use the smart mobility solutions to help solve their traffic, pollution, and traffic safety challenges. Automakers have been making serious investments in mobility and autonomous technology companies in the past two years. Ford acquired on-demand shuttle service Chariot in 2016 and then bought a majority stake in self-driving startup Argo.AI for $1 billion. Daimler now owns Hailo, MyTaxi, Taxibeat, and Ridescout. General Motors owns Cruise Automation and has a stake in Lyft. Volkswagen’s MOIA division is preparing to bring mobility services to cities around the world. In early December, MOIA unveiled an all-electric car at the TechCrunch Disrupt Berlin event. It’s been designed to provide usable space for up to six passengers. It will make its official debut in service on roads beginning in Hamburg in 2018, where the company expects to put about 200 cars on the road at first. It’s based on ridesharing for users who seek to pool their vehicle use. BMW up in plug-in sales: BMW and Mini sold 8,138 electric vehicles in July, up 52.7% year-over-year. Models come under the BMW i and BMW iPerformance brands, along with the new plug-in hybrid Mini. 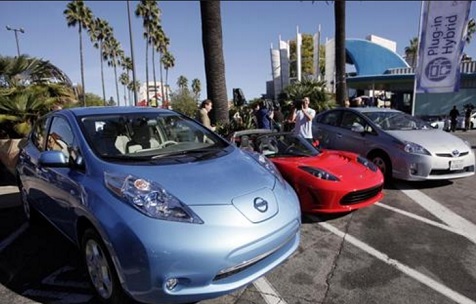 Plug-in vehicles made up 4.5% of marketshare for all of the company’s vehicle sold last month. For the year, the automaker has delivered 50,711 plug-in vehicles, up a huge gain of 74.8% for the year. Governments competing for autonomous vehicle mantle: The push for autonomous technology is pitting cities and states against each other in a race to be the first to lead the way. The payoff is expected to come from economic gains and bragging rights in technology innovation; not to mention other gains expected from self-driving vehicles. Nevada and Michigan are implementing several test projects, and California continues to play a leading role. Strategy Analytics, a research firm, predicts that the “passenger economy,” a segment emerging based on autonomous vehicles will grow from $800 billion to $7 trillion by 2050. Sustainable Fleet Series: Early bird registration of $18 will end August 18th for fleet managers, sustainability directors, business owners, legislators, and others attending AltCar Expo & Conference. This will take place Friday, Sept. 15, 2017, at the Santa Monica Civic’s East Wing. Use the registration code AC17EB for the 67% discount. The Sustainable Fleet Series is a brand new seminar offered by NAFA, with writing a Sustainable Fleet Plan being one of the topics discussed. This introductory session will be available to those attending AltCar 2017, the 12th annual conference sponsored by the city of Santa Monica. Mazda sustainability drive: Mazda just released details on Sustainable Zoom-Zoom 2030 that includes the first ever commercialized gasoline engine with a compression i gnition. That will bring 20% to 30% more fuel efficiency than current models on the market with Mazda’s Skyactiv technology. The corporate sustainability campaign will shoot for 2019 to roll out the new Skyactiv-X and its first electric vehicle. That could be coordinated with its Toyota alliance for jointly developing EVs. Sustainable Zoom-Zoom is structured around reducing corporate carbon dioxide emissions, well-to-wheel, 50% by 2030 and 90% by 2050. Uber battle continues: Former Uber chief Travis Kalanick won’t be returning to his previous job leading the ride-hailing company, co-founder Garret Camp said. The company is committed to bringing in a new “world-class CEO to lead Uber,” he said in an email to challenge a news report published in Recode. Kalanick stepped down in late June, seven years after starting the global giant with a group of Silicon Valley buddies. The pressure was intensifying following a series of revelations of questionable business practices, including being a bad place for women to work. Kalanick told Recode that he is “Steve Jobs-ing it,” which means he thinks Uber will have to bring him back to lead the company to victory, as Apple had done with Jobs. Several Uber board members disagree with Kalanick. car2go seeing growth: Daimler’s car sharing unit, car2go, reported that its usage increased 40% year-over-year in the first half of 2017 compared to a year prior. That’s taking place at 11 North American locations with 4.5 million trips taken so far this year. Members are spending 33% more time traveling this year than last. The company is in discussions with other cities about car2go opening shop there, with the company emphasizing the environmental and economic benefits of using its one-way carsharing model.